One of the benefits of participating in L.A.C.E.S. soccer program is receiving a fresh meal. 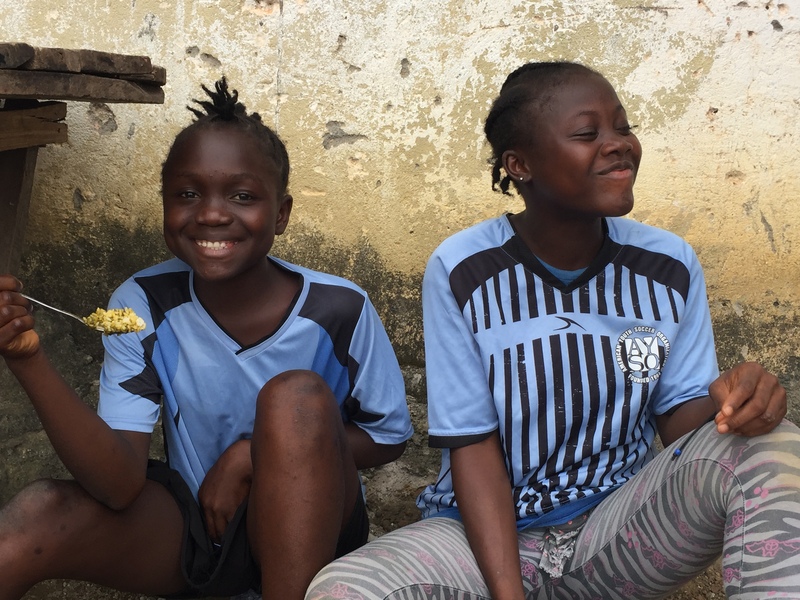 “Most of the Liberian children in our program live on the street,” explained Seren Fryatt, founder and executive director of L.A.C.E.S., an international sports program that provides mentoring and a safe place for children to play. “These kids, many of who were orphaned due to the war, are trying to survive. They need to provide for themselves at a young age, which means finding a job.” Jobs are hard to come by. Many times, the children turn to prostitution and stealing. The children who participate in the sports programs are provided fully nutritious meals, three times a week. Food not only gives the kids physical energy, but it also lowers their stress levels, because they are less worried about finding their next meal. Providing meals for 300 kids, three times a week could be expensive. However, L.A.C.E.S. 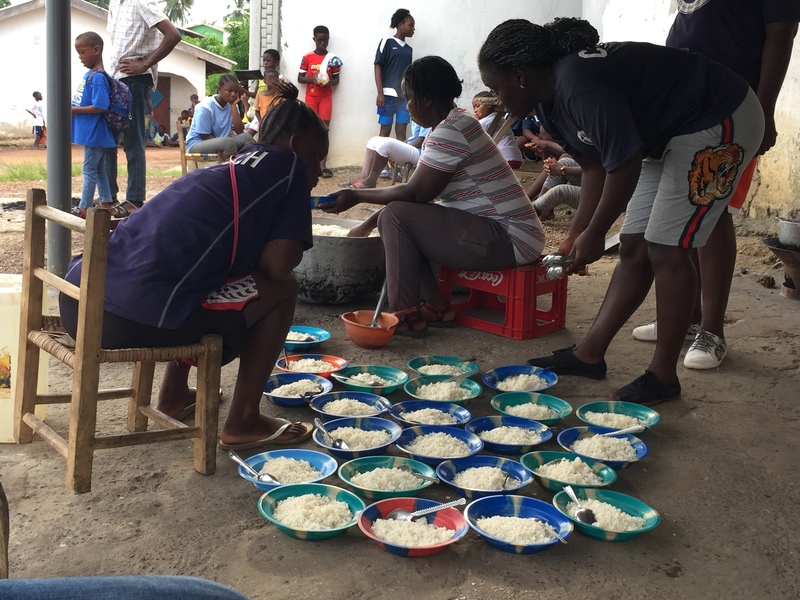 has found a unique solution, The company, J.U.S.T, formerly known as Hampton Creek, was once called by Bill Gates, “the future of food.” It created a stir among the international community by developing a food product called, “Power Gari”, which looks and feels like porridge. This nutritional product is made from cassava, red palm oil, sugar, salt, and a soy protein concentrate. It contains high concentrations of vitamins, A, D, B6, and B12, plus iron, zinc, and12 grams of protein. Most interestingly, it is created in Liberia. In a Washington Post article, the company’s founder, Joshua Tetrick said, “I want to make Liberia a big success — success defined by solving the micronutrition problem there and making sure kids have dignity in what they eat,” he said.